The view to the beach where we kayaked. As we walked down to the beach this morning for a sea-kayaking expedition we went past the citadel wall and spotted a cannonball embedded halfway up the main wall. 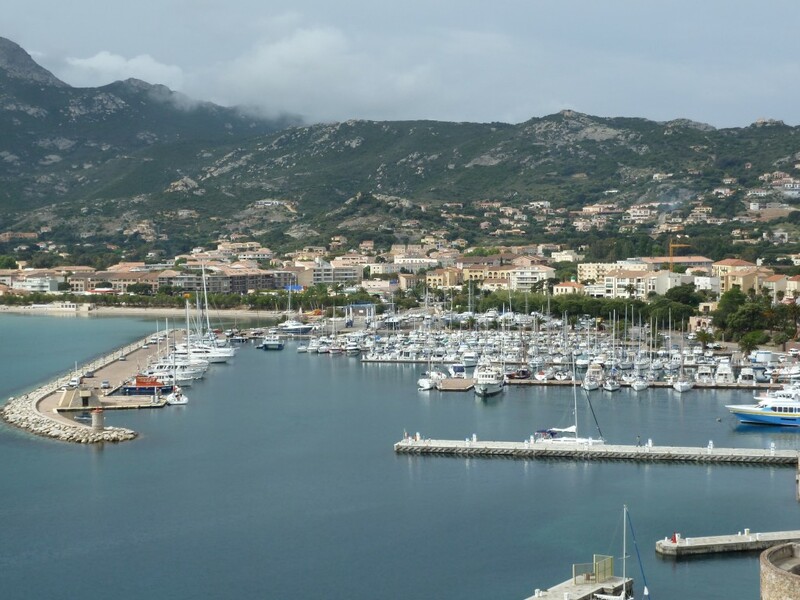 That cannonball is a reminder of a number of events which are loosely connected with Calvi. 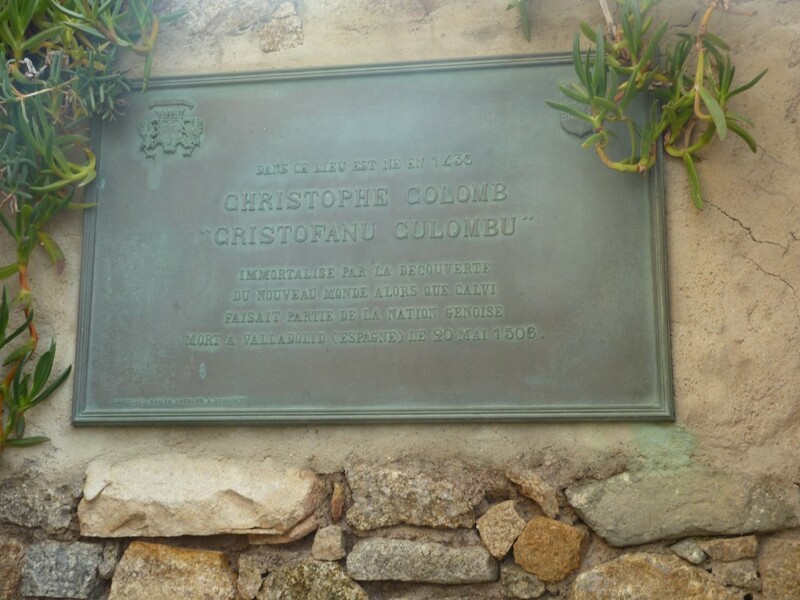 We came to Corsica largely because of its connection with Napoleon. The locals are actually ambivalent about their most famous son – as it was under his rule that Corsica really lost independence to the French. In any case, Napoleon’s first step towards future greatness was over the water when he emplaced guns on the heights above Toulon and scared the British out of its strategically crucial harbor. One result of this was that a small British expedition to Corsica became important and got heavily reinforced as Corsica became strategically significant as a possible British base in the Mediterranean. And one of the leaders of that Corsican expedition was a certain Captain Nelson. Nelson was heavily involved in taking Bastia and then moved on to Calvi. As a further aside, it was the difficulty the British had in defeating a Martello tower on Corsica that lead to those towers being built throughout the Empire – one of the few remaining Martello Towers in the world is Fort Denison on Sydney Harbour. Anyway, Nelson went on to attack Calvi. Taking a leaf out of Napoleon’s book he landed guns and placed them on the heights above Calvi. While setting up one of the forward gun emplacements Nelson was hit by splinters of rock when a French shot hit a wall in front of him – thus causing him to lose the sight in his right eye. 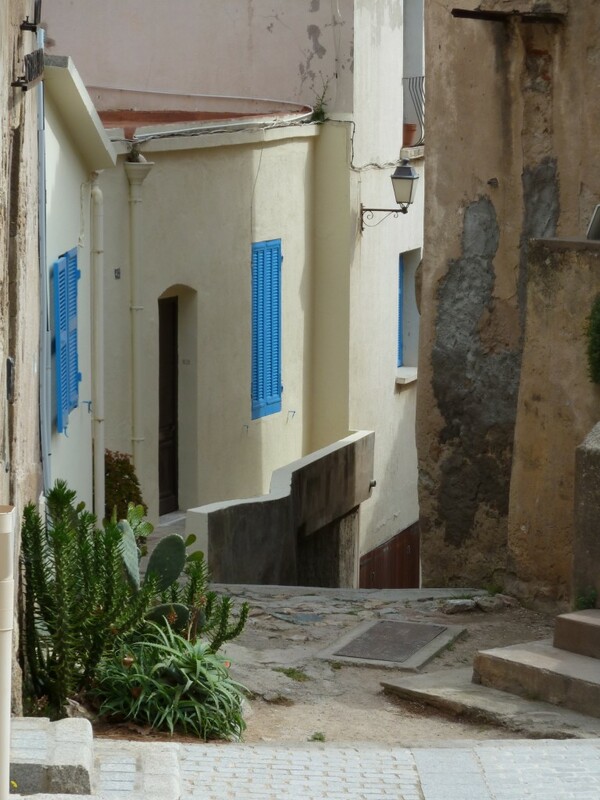 A street in the Calvi Citadel. Over the following six weeks or so an astonishing 24,000 cannon balls landed on the Citadel and the small town of Calvi. In the end the French surrendered honorably; but the town of Calvi and much of the Citadel were destroyed. The destruction included the house where Christopher Columbus was purported to have been born. Calvi claims Columbus as its own, but historians rate the connection as tenuous. Nevertheless, we spent a pleasant couple of hours exploring the Citadel yesterday trying to find the spot the house stood. 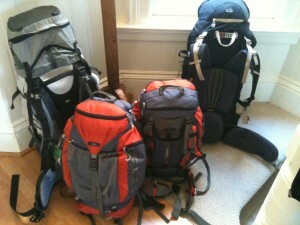 We eventually succeeded, but there’s not a lot to see. The Citadel today is a nice, tightly-packed collection of houses separated by cobble-stone streets. It is home to the parachute regiment of the French Foreign Legion. We’ve seen a few Legionnaires around – they look the part, all shaven heads, deep tans, bulging muscles and t-shirts a couple of sizes too small for them. We even saw them doing a parachute drop today while we were out kayaking. Our kayaking expedition gave us a chance to see Calvi as Nelson would have done – although he was on a bigger boat. It also provided the opportunity to work on our ship-to-ship fighting skills with Captains Callum and Declan directing water broadsides as we maneuvered along the beach. It was a perfect day for kayaking, blue skies, blue-green water and only small waves. After kayaking, the boys practiced fortifications with sandcastles while Jennifer and I watched on with coffees – a very civilized French approach.